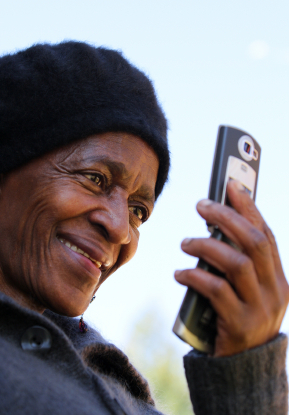 Mobile phone networks have proven to be a vital piece of technology for Africa. The technology is playing an important part in bridging the infrastructure divide and assisting entrepreneurs and businesses to improve efficiency. The mobile revolution is still in its infancy and organizations are slowly adopting new tools and technology to conduct business. The not-for-profit sector has been on the forefront of adopting and piloting a number of projects and there are some interesting learnings for the business world. One of the major challenges for any operation is keeping customers informed. When conducting customer service surveys in Africa, outlets often complain about the lack of communication about product offerings and promotions. Many customers are also frustrated about a lack of timely information. As one retailer put it to me in Guinea, “by the time we get to understand the mechanics of the promotion, the promotion has ended.” Most managers and supervisors are using SMS extensively to communicate with customers and increasingly companies are adopting it as an enterprise application strategy. FrontlineSMS created a text messaging system for not-for-profit organizations to address poor communication, which is seen as a major barrier for many organizations. The system leverages tools already available to most organizations, namely computers and mobile phones. The same system is being adopted by companies. For example, companies can use the system to send out mass SMS messages. Companies can categorize their databases and tailor messages according to trade channels and profiles. Companies can also use the system to collaborate more effectively with trade partners and share information. In Africa, as in many parts of the world, people are spending more time reading text on mobile phones and mobile learning has seen some interesting developments. Projects such as the Imfundo Yami/Imfundo Yethu in South Africa is currently piloting a project to teach kids mathematics on the mobile phone. The Shuttleworth Foundation in South Africa has also taken the initiative with the M4lit (Mobiles for literacy) project to get children to read. In Africa, where corporate training budgets are often overstretched, mlearning can be viable blended learning option. With limited cash flow, many retailers run out of stock on a regular basis and delivery frequency does not always satisfy demand. With low drop sizes (low purchases) increasing delivery frequency is not always a viable option. Outlets are sometimes unaware where to purchase stock when they run out. Mobile search, such as applied by Google’s Application Laboratory (AppLab) in partnership with the Grameen Foundation, models interesting possibilities for business. AppLab builds on the success of another earlier project, Village Phone, in which local entrepreneurs rent cell phone use to villagers. AppLab includes Farmer’s Friend, a searchable database with agricultural advice and weather forecasts, Clinic Finder, to locate nearby health clinics, and Google Trader, which matches buyers and sellers of agricultural produce, commodities and other products. Companies can adopt mobile search to provide important information regarding location and product offering to consumers. It can also be used to assist shop owners in locating the nearest supply point. Users can text a query to a short code and the service will text back the result. Most companies in Africa will tell you that visibility in the supply chain is one of the biggest challenges they face. With a lack of IT infrastructure it is difficult to keep track of stock levels and sales data; real time data is just a dream for most. However, organizations are increasingly starting to use mobile phones for data collection. Stopstockouts.org currently uses the Ushahidi website mashup, online mapping technology, to track stock-outs of medical supplies with text messages in Kenya, Malawi, Uganda and Zambia, all in near real time. Ushahidi was initially developed to map reports of violence in Kenya after the post-election fallout in 2008. Text messages are connected with mashups, and create a picture of medical out of stocks. Businesses can use the same technology to track sales and stock levels and identify problem areas and regions. Online mapping can also be used to collect outlet base information and create route maps for distributors and salesmen. Most African consumers can testify that purchasing medication can be a risky undertaking. International Medical Products Anti-Counterfeiting Taskforce (IMPACT) estimates counterfeits comprise around 1% of sales in developed countries and more than 10% in developing countries. However, in parts of Africa, more that 30% of the medicines on sale can be counterfeit. MPedigree, a non-profit based in Ghana fights counterfeiting with SMS technology. Consumers can SMS a scratch off panel code to determine if medicine is counterfeit. The same technology can also be used by companies in the textile and beverage sectors, where counterfeit is rampant and a major barrier for market entry. 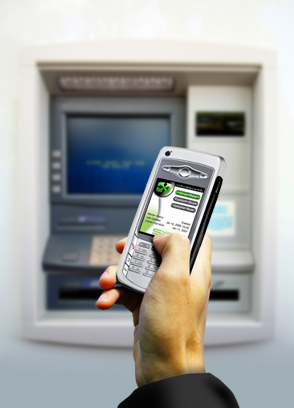 With very low banking penetration in Africa, mobile banking provides great opportunities for organizations. Many distributors run out of stock because, as one distributor explained in Zambia, “to go to the bank is half a day out of my trading day. But no cash, no delivery”. Mobile banking (M-Banking) schemes such as M-PESA in Kenya and Wizzit in South Africa are receiving increased attention. As most mobile phone users make use of prepaid cards, prepaid calling credit has emerged as a viable mobile paying system in some countries, notably Kenya. Customers can use M-Banking to pay bills and transfer money. M-PESA is also being used as a savings account even though the scheme does not pay interest. Olga Morawszynski’s excellent research on M-Pesa found that it saves people time that they would otherwise spend traveling between their home and city to deliver money. M-banking holds real potential for organizations in Africa where cash flow and a reliable banking infrastructure remains a constant headache. Mobile phones have had an enormous impact on peoples’ lives in Africa and can be counted an unparalleled success when compared to any other technology. As a cheap available technology, mobile technology presents a great opportunity and companies should seize the opportunity.